"Music is universal and the Universe is our future." 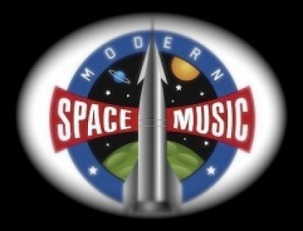 Modern Space Music is the on going creation by Tom Muller of the melodic fusion of some that has gone before in cosmic composition while creating new voyages into the realm of space music and the Universe as a grand inspiration. It is vast and unending providing limitless themes. We have all looked to the stars and thought there was more than just the white lights against the black sky. Years of astronomical discoveries, the Hubble Space Telescope and other unmanned probes have opened the physical eye to the beauty and grandeur of the farthest of reaches which man has never seen. Hopefully our musical tomes are an accompaniment to those distant views and countless more yet to be seen. Join Major Tom and the Pecos Planetary Orchestra as they create new musical journeys to the far outreaches of time, space and the unknown. The melodic big bang occurred in 1962 with Joe Meek's TELSTAR by the British group "The Tornados" and space music has grown exponentially since then. The Major and Orchestra pay tribute to all who have gone before. The ensemble has launched songs in the galactic bent with their performance of the Major's own original compositions. From Kubrick's 2001 Strauss delights to John Williams' Star Wars symphonic saga, from Dr. Who to David Bowie and all who have written themes and songs about the vastness of the universe and all it holds, Major Tom salutes your grand ambitions from such a tiny blue planet and only hopes that he can contribute in the same manner. It is with this context the "Inner Galactic Sprint" is presented as Volume One of the Modern Space Music saga. Major Tom and the Pecos Planetary Orchestra are flying through the universe creating new sounds and music with distant themes and thought provoking titles. Please go to our CD Baby site and check out the new music. Celebrating the launch of Japan's Kaguya other cosmic events and themes, Major Tom has composed more original themes for the cosmos to add the second installment of the Modern Space Music odyssey. By the time we land a man Mars there will be 27 volumes created...enough for the astronauts to listen to on their way to the Red Planet without many repeats. Do ya' think? Major Tom and the Pecos Planetary Orchestra have successfully launchedthe next volume in the Modern Space Music Series called Trans Galaxy Migration. Celebrating man's vision of interplanetary travel and his quest for the stars, Major Tom has a special guest performance by Sal Valentino of the Beau Brummels. This is the first vocal on any any in the series to date and we'll tip you off. What famous Harry Nilsson song had to do with....space? Go to iTunes and buy it! Click here! You'd have to shanghai an able-bodied crew composed of Space Age producer Joe Meek, Twin Peaks soundtrack whiz Angelo Badalamenti, Parliament Funkadelic ringmaster George Clinton, bachelor-pad exoticatician Juan Esquivel, archangel cellist Yo Yo Ma and free-jazz point-man Sun Ra as ship's petty officers, put them under the command of Spaghetti Western maestro Ennio Morricone for 10 thousand light years before the mast, then thaw them out from deepfreeze in some beyond-distant galaxy to duplicate the rad instrumental sounds heard on the 3rd album by Major Tom & the Pecos Planetary Orchestra. Even that wouldn't really do it. As beat Zen poet Kenneth Patchen used to say: "Listen." Those of us who first heard the Beau Brummel's release of Laugh Laugh to a person thought that they were the next big hit from England only to happily find out that they were really from San Francisco. Since then and over many years Sal has developed a style that is recognizable and enduring, warm and haunting. His latest stuff is really his best and we hope you check it it out. Go to iTunes for more of his sounds. 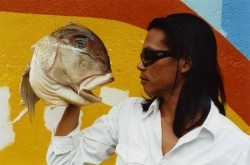 Recently the Pecos Planetary Orchestra first chair cellist was viciously attacked by an alien sub surface breather outside Masa Sushi in Santa Fe, NM. He survived the attack by rubbing huge portions of wasabe in the creature's nostrils. His 1724 "Hausmann" Stradivarius cello escaped the melee by running inside and hiding under the bar. Felix is to be commended for his arrangement of Tom's OLYMPUS MONS on TRANS GALAXY MIGRATION which is Volume 3 of the Modern Space Music saga. Mr. Fan is related by the little known interstellar mutative inherited transitory cosmic infusion gene to Major Tom, his alien eternal uncle. They share a common relative from the KuiperBelt close to the Oort Cloud.